But there is another political reality at play - we are likely to see up to three TDs elected to the European Parliament on May 24. So, no surprise it's going to be as you were for the Local Property Tax (LPT) - very probably until 2021 and beyond the election zone. Independent Transport Minister Shane Ross has urged a pensioners' exemption to take account of retired people on low incomes living in houses with a high nominal value. His Cabinet and constituency rival - er, we mean colleague - Culture Minister Josepha Madigan caused a stir by advocating a special rate for Dublin in any new regime. The report cites a total of five options - and the Government has yet to pick one. 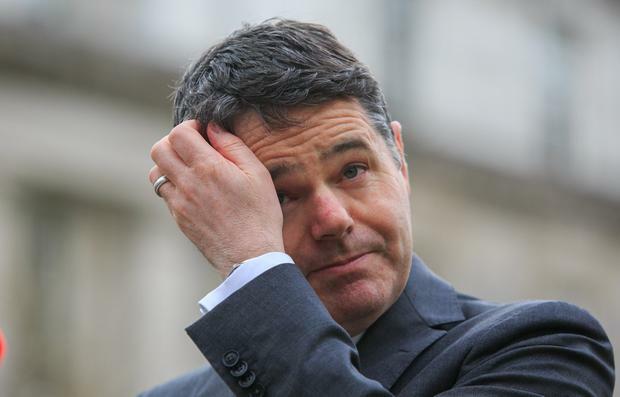 Finance Minister Paschal Donohoe has indicated he would like to see only minimal increases. The issue moves to a TDs' budgetary oversight committee where cross-party agreement will be sought. With elections looming, you would get long odds on that.